The CID Awards celebrate outstanding achievements in the design and installation of tile and stone in both residential and commercial projects. The CID Awards are paired with the Opening Night Celebration allowing attendees to meet the winners, enjoy an interactive showcase of the winning projects and kick off Coverings 2016 with a special reception. 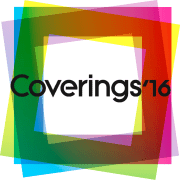 Winners are required to attend the awards reception on Monday, April 18, 2016 at Coverings in Chicago, Illinois. Further details about eligibility, criteria, and additional information can be found here.